“A jobs bill, an innovation bill, an infrastructure bill, a conservation bill, a research bill. It’s like a Swiss Army knife,” said Obama, highlighting that the legislation is about more than just farming." “A jobs bill, an innovation bill, an infrastructure bill, a conservation bill, a research bill. It’s like a Swiss Army knife,” said Obama, highlighting that the legislation is about more than just farming. The president says he’s not happy with everything in the farm bill. But he says he would not have signed anything that denied benefits to vulnerable families or children. 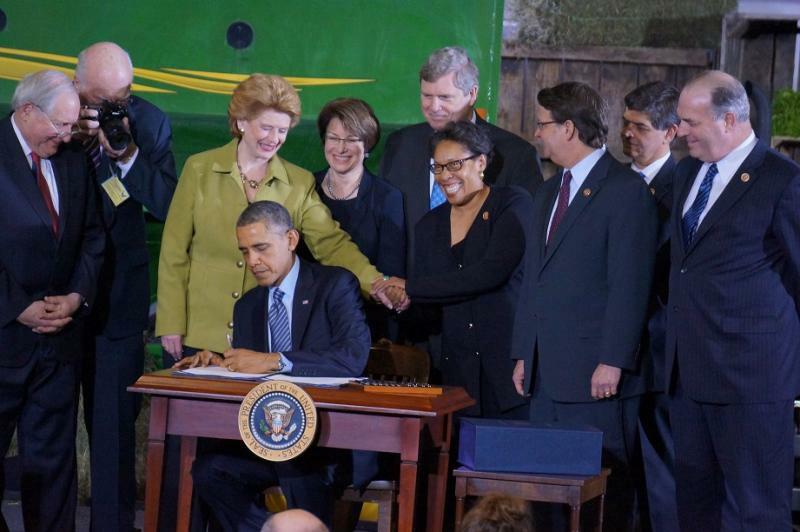 Senator Debbie Stabenow joined President Obama in East Lansing for the Farm Bill signing. Stabenow spent about three years spearheading the effort to pass the legislation in Congress. “Having the president come here, of course to my alma mater, to celebrate and sign it just is wonderful,” said Stabenow. She says Michigan State University will benefit from new research funding included in the bill. And she says every rural community in Michigan could see new funding for development because of the legislation. 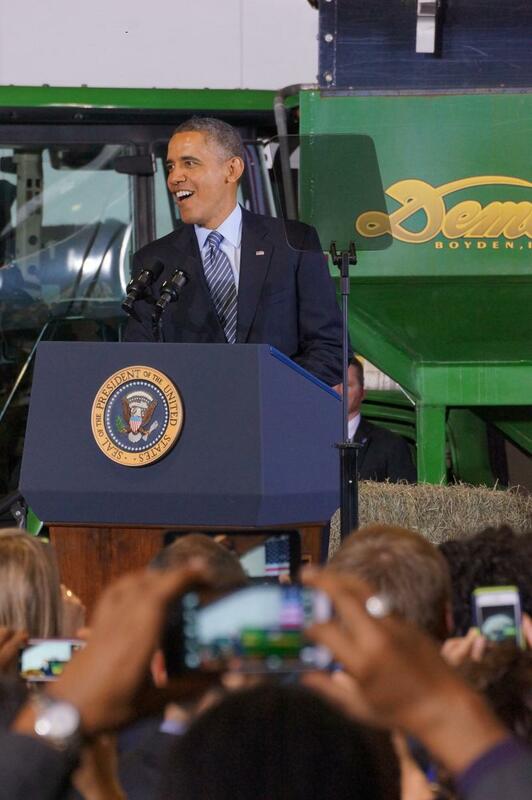 President Obama was also joined by U.S. Agriculture Secretary Tom Vilsack, who said Michigan was the right choice for the bill signing. Vilsack said that’s because of the state’s diverse farming industry and its emphasis on agricultural research. He says the bill will also help the state protect its natural resources. Vilsack also praised Congress for keeping cuts to food assistance smaller than they might have been. The bill includes $8.5 billion in cuts to food stamps.